Lords Mobile Special Event: She Who Gave Us Life! Also for 2 days, rally darknest as much as possible, they are giving out gems, and for those out there that are still trying to get Academy 25 for example, it's a good opportunity to stock up on gems! Last but not least for those that are not level 60 player, don't forget to take advantage 4x times guild coins especially when it comes to the EXP boost. 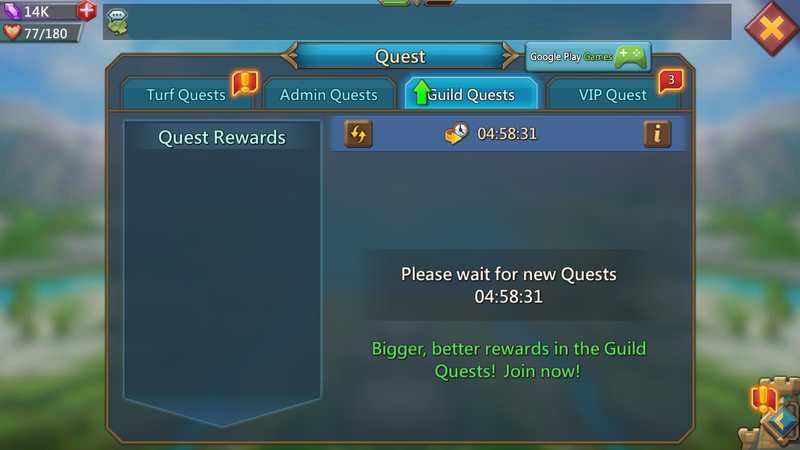 So, if you have quite a few "Guild quests" scrolls save up and a 25% Exp boost (or the gear), open those scrolls up and get to the next level. Next Next post: How to Organize a Fast Growing Guild?